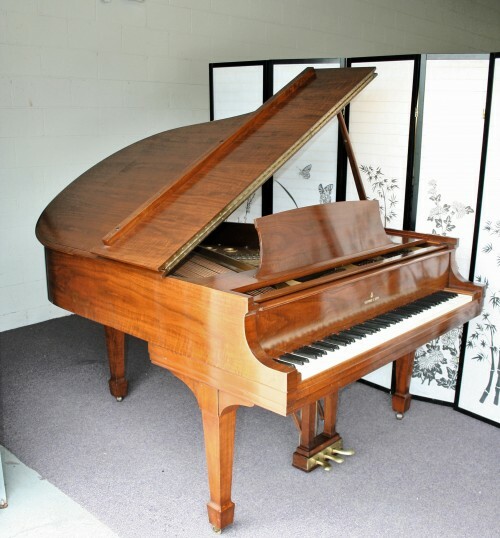 Gorgeous Walnut Steinway Model M 5’7″ made in 1945, reconditioned 4/2013. action just regulated and voiced, case has beautiful, deep walnut grain. Original Ivory keys, all original Steinway parts. Rich crisp, clear tone. Warranty. Free LI/NYC delivery. All else continental USA only $475. Questions? CAll Sonny Direct at 631 475-8046. Serving Long Island,NYC,NJ,CT and Westchester. With delivery also available for VA, NC, SC, GA, AL and rest of the United States. Great Steinway Pianos at low, low prices!! To view Videos and Photos of all of our Pre-Owned Steinway’s at wholesale prices visit our Pre-Owned Steinway Gallery– Click HERE! Visit us at our Holbrook, Long Island Warehouse Or at our Online Video Showroom– Click HERE!